This workshop has four basic plumbing systems, vertical wet vent, horizontal wet vent, combination waste-n-vent, and circuit vent. 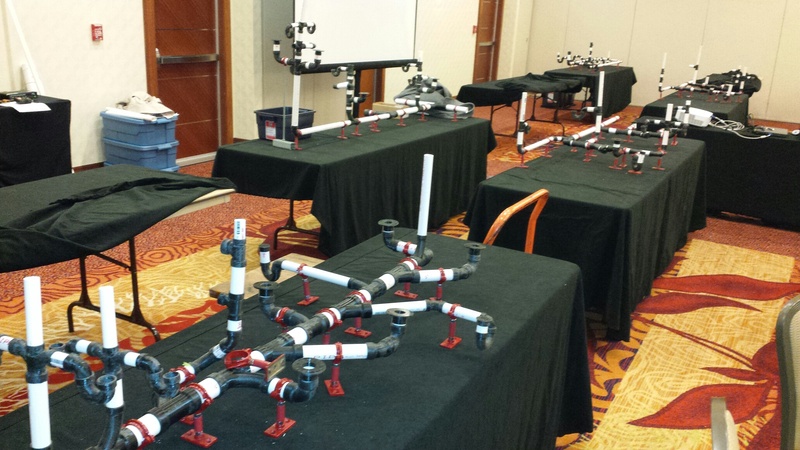 This full day course has four hours of instructional code requirements and another four hours of hands-on assembly of the four basic plumbing systems: vertical wet vent, horizontal wet vent, combination waste-n-vent and circuit vent using 3-D models. More info on the registration pages in the links above.